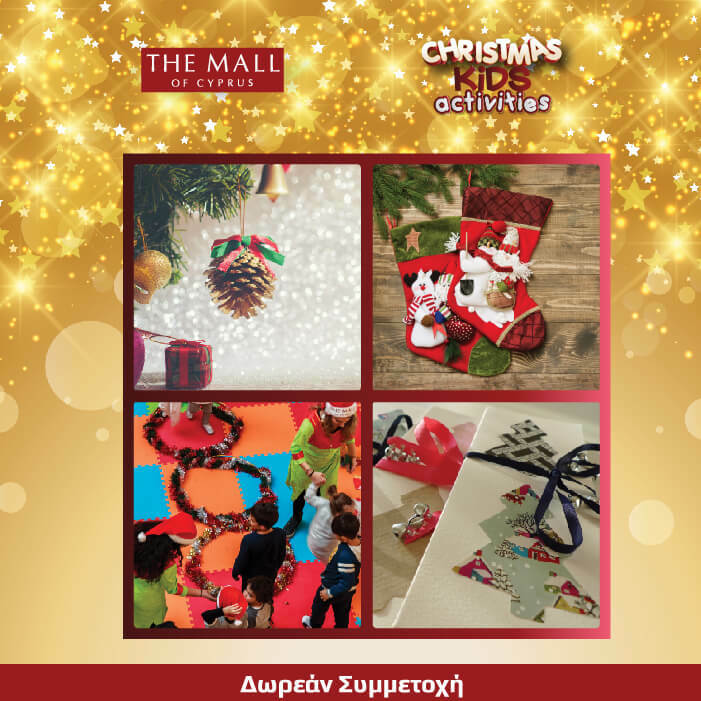 Christmas has arrived at The Mall of Cyprus, and we invite all children to spend their afternoon creatively at The Mall of Cyprus. On Wednesday 27 December kids will make their own Christmas cards, on Thursday 28 December we will decorate Christmas stockings, on Friday 29 December we will decorate Christmas ornaments and on Saturday 30 December we will play interactive Christmas games! 4-7pm, Entrance 1. Participation is free.